Your fly rod is likely a 4 piece rod which means you have to put the sections together to use it and take them apart to store or transport it. Not all rods have alignment dots but if yours does then this will save you some time when putting it together. Connecting the sections seems easy enough, building the rod from the biggest section to the smallest by inserting the male ferrule into the female ferrule, but lets do each connection in two steps. First, fit the sections together loosely (or just snug enough to hold) with a half clockwise turn as if the ferrules were threaded and you were “screwing” them together. Over time this creates a spiral texture on both ferrule surfaces that will not allow the rod to slip straight off during use. Do this to the point where the dots line up or where you have determined that the guides are in line. Second, sung the sections together straight (dots still aligned) with a medium amount of force. you may see and hear the slight click of the sections cinching together more tightly. Now you’re ready to use it. Removing sections can be a dangerous procedure. Use these techniques in this sequence to avoid permanent damage to your rod ferrules. If the first method does not work then go to the next. 1. 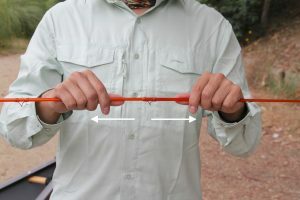 With dry non-greasy hands pull the sections apart by holding the bare rod (not holding any guides for leverage) somewhat near the ferrules and pull apart as straight as possible. 2. 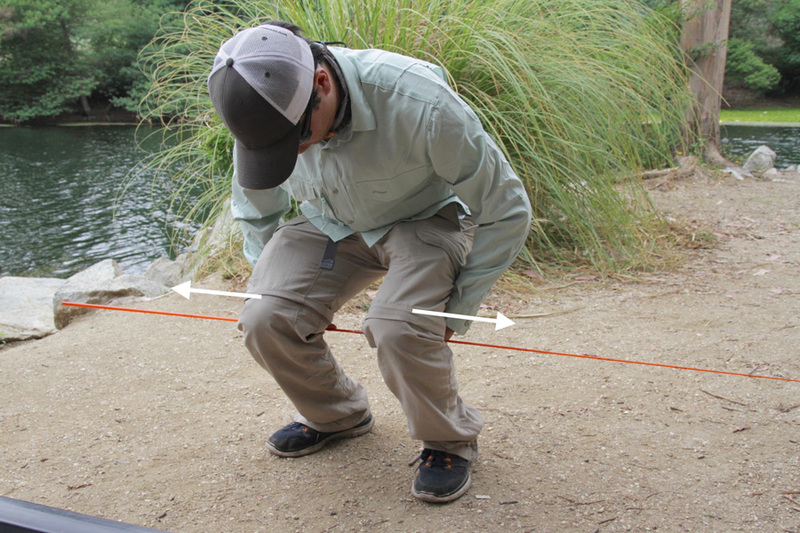 Again, with dry non-greasy hands, In a bent-over position put the rod behind your knees holding the two sections by the bare rod with arms outside your knees. Then push your forearms apart with your legs. This gives more force and ensures the sections are separating straight. 3. This technique requires the assistance of another person. Face the other person with rod between you. Each person holds the rod under their open elbow and toward the other person. Each has a hand on the each sections so you can count the four hands on the rod (theirs, mine, theirs, and mine) and on your mark you both pull the sections straight apart. During use of the rod keep in mind that the tip is the most fragile section. 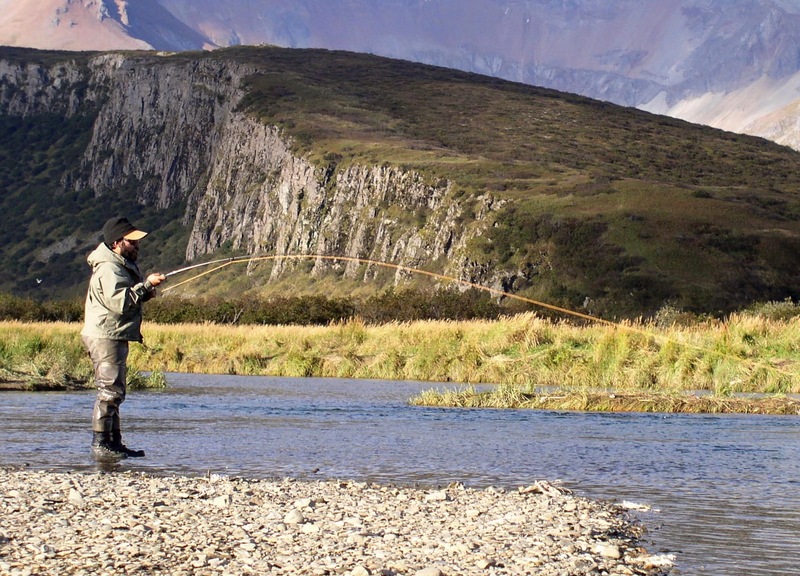 The fly rod is primarily a casting and fish fighting tool, and secondarily a hook-setting tool. “Trout” or small fish hook sets with the rod should not be forceful ful but performed with light to medium force and with swift controlled speed. Don’t set like a bass fishing professional. With larger fish and actively retrieved flies the hook set should be more of a strip set of the line while the rod angle remains (mostly) low. Besides protecting your rod from a shock break this also is a good hook set technique where if you miss the fish the fly has not gone far out of its strike zone and it may eat the fly again. 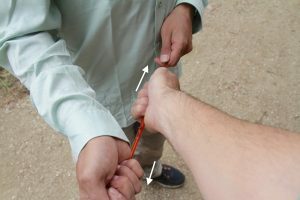 The rod angle can be high (pointed straight up) with light or medium line tension but if greater force is required to fight, turn, or lift (never in the air) a fish then the rod angle should be much lower. High rod angle with light pressure. Strikes to the graphite are never a good thing. If your rod doesn’t appear damaged from a strike then it may be weekend only to fail later. 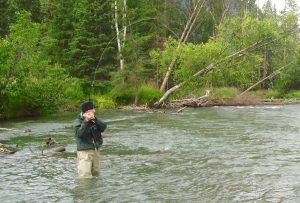 Strikes can occur from contact with a weighted flies traveling in the air very fast or by inadvertently hitting your rod on a solid object while casting. Be very aware of your surroundings for this reason and also because rods conduct electricity very well. Don’t be casting outdoors during a storm. Breaks by stepping on the rod or having a big fish double it over when it makes an unexpected land run when you’re trying to unhook it are some other common and real dangers. 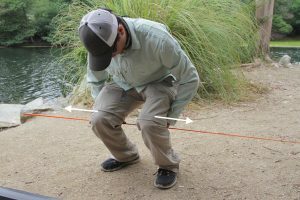 This is why even in the most intense and exciting moments in fishing it is important to consider where you are leaning or laying down your precious rod. We’ll cover rod transportation dangers in the next post which will include the mistake of walking with your tip pointing forward, especially when going down hill. Snags, or the art of getting your fly stuck in a tree or submerged object definitely delays fishing. Don’t be tempted to use your rod tip to remove the snag. Naturally, a little tugging and shaking can remedy a simple snag but flies do tend to wrap themselves around limbs and hook into vegetation firmly. Do you know the roll cast snag-removal technique? 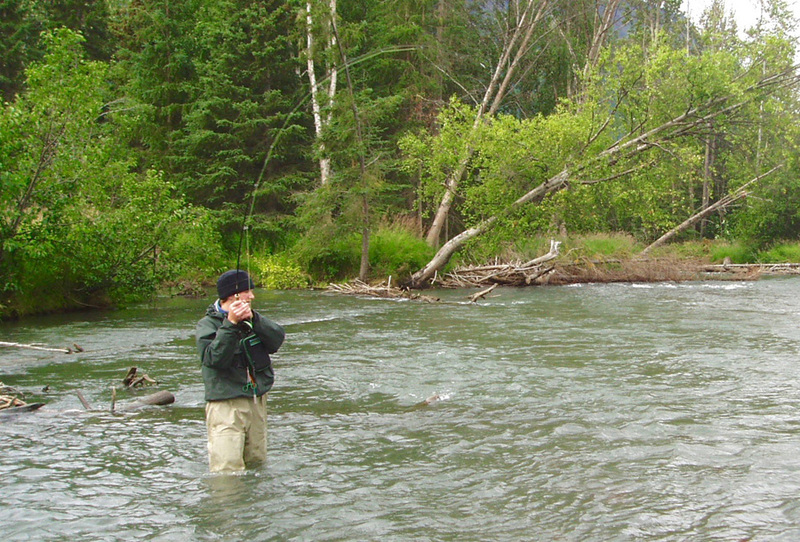 If you can reach the snag then set your rod down in a safe position and remove it by hand. if not then you may have to sacrifice the fly- still better than a broken tip! Just point the rod at the snag, hold the reel from turning, and pull to dislodge the fly or break the tippet (line).